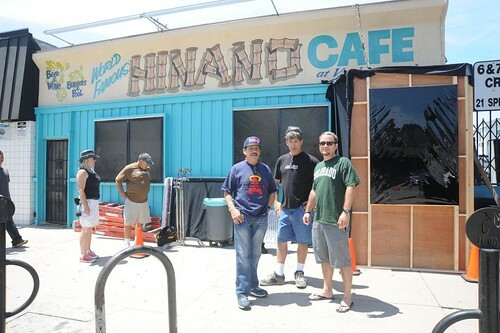 Hinano Taken Over by NCIS: LA - Yo! Venice! NCIS: Los Angeles (Naval Criminal Investigative Service: Los Angeles) is spending their second day of shooting their 4th season at Hinano on Washington. Earlier today they were out on the beach and the Venice Pier. Be on the lookout for Linda Hunt, Chris O’Donnell and Ladies Love Cool James (LL Cool J) kicking it at Hinano later this year! Hinano will reopen tomorrow!